Before settlement by Europeans, Georgia was inhabited by the mound building cultures. The British colony of Georgia was founded by James Oglethorpe on February 12, 1733 (February 1, 1732 O.S.). The colony was administered by the Trustees for the Establishment of the Colony of Georgia in America under a charter issued by (and named for) King George II. 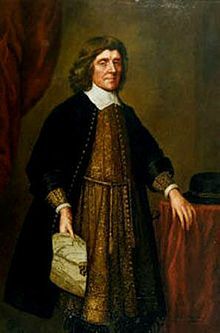 The Trustees implemented an elaborate plan for the colony’s settlement, known as the Oglethorpe Plan, which envisioned an agrarian society of yeoman farmers and prohibited slavery. 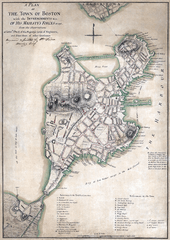 In 1742 the colony was invaded by the Spanish during the War of Jenkins’ Ear. In 1752, after the government failed to renew subsidies that had helped support the colony, the Trustees turned over control to the crown. 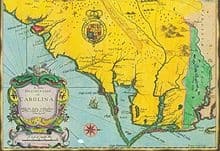 Georgia became a crown colony, with a governor appointed by the king. The Province of Georgia was one of the Thirteen Colonies that revolted against British rule in the American Revolution by signing the 1776 Declaration of Independence. 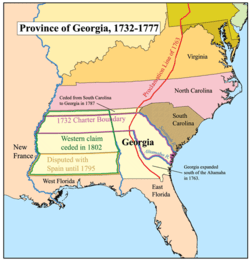 After the war, Georgia became the fourth state of the Union by ratifying the Constitution on January 2, 1788.